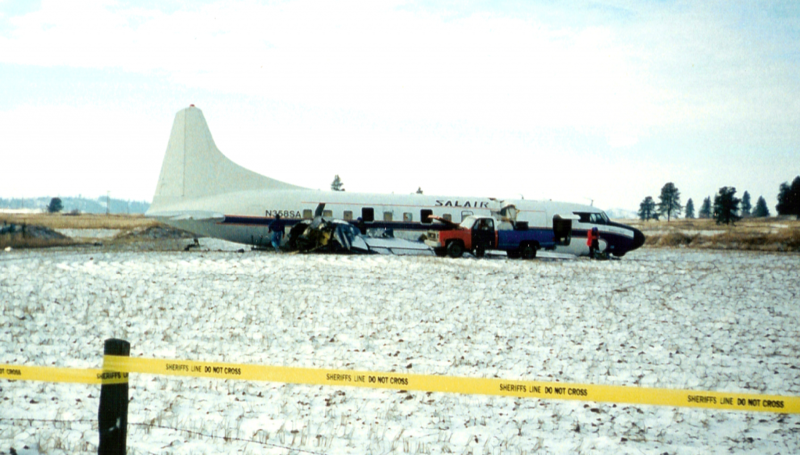 On January 06, 1996, Convair 440 N358SA crashed while on approach to Spokane International Airport (KGEG). The aircraft was being re-positioned under Part 91 from Deer Park AZ to Spokane under a ferry permit (special flight permit) due to the aircraft being out of inspection. Recency of experience, fatigue, icing, equipment malfunction, and fuel mismanagement were among the many factors in the accident chain. I was the pilot in command. This classic ‘organizational accident’ occurred due to poor decision-making by the pilot in command, as well as numerous organizational factors in the accident chain. I know this because in addition to being the PIC, I was the director of operations and co-owner of the company, Salair Air Cargo. The front-line (PIC) decisions and other organizational decisions made that day were mine, many of which stemmed from an immature safety culture, normalized deviations, financial pressure, pressing, and other factors. We thought we were operating in a (relatively) safe manner; regulatory compliance was always a top priority for us at Salair, and we had little else as far as a safety program was concerned. Our drug and alcohol tests were negative; NTSB / FAA investigations of the accident revealed no regulatory violations; we were qualified and fully compliant. But did we conduct a ‘safe operation’ that day? The fuel indicating system had been worked on; the aircraft was parked on a non-level ramp so the under-wing boston gauges were inaccurate; I boarded minimum fuel for the 6-hour flight based on current and forecast weather conditions – nothing more than my bare-minimum 45 minutes’ reserve for IFR, a decision made in part due to the high cost of fuel at Deer Park. And then, due to numerous environmental, technical, procedural, aircraft design, human and organizational factors, the accident chain was constructed; barriers failed; and an accident ensued. CLICK HERE to read the NTSB’s full narrative on the accident investigation, and please revisit this blog for an ‘insider view’ of the many factors identified in this accident’s causal chain.